Public safety officers and architects testified before a Texas school safety panel Monday and pushed for Senators to focus on student mental health to prevent school shootings. Monday’s discussion kicked off a series of Capitol hearings expected over the next few months as state officials continue to respond to the Santa Fe High School shooting that left 10 people dead. 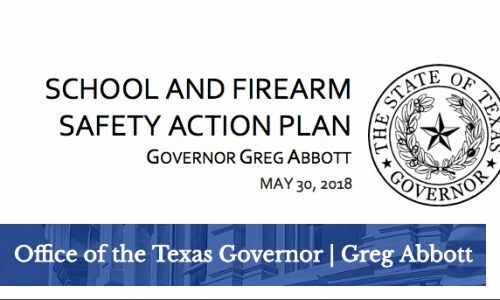 The nine-member committee was appointed by Lieutenant Governor Dan Patrick in May following a three-day summit hosted by Governor Greg Abbott regarding the school shooting, reports Dallas News. Their four appointed tasks include looking at school infrastructure, discussing security options such as arming teachers, examining the cause of mass murder and determining if existing protective order laws are tough enough. Monday’s meeting focused on ways to improve security through environmental design and the installation of metal detectors, but the conversation often veered to the discussion of mental health. San Antonio ISD Police Chief Joe Curiel said school police officers know their campuses and build relationships with students, making them able to read them better than officers not associated with the school. “Human intelligence is key to preventing active shooter incidents,” Curiel said. “You want to talk about architecture, gun training? Here’s a great witness and resource. He’s doing his job, he apprehends someone dressing abnormally. He refers to them as a mental health case and they come back in a week and have not received any treatment. And we wonder why we’re sitting here having this conversation,” he said. When the conversation turned to improving security through environmental design, Mike Matranga, executive director for security and school safety at Texas City ISD and a former Secret Service officer, argued schools should focus on prevention because complete security isn’t possible. Matranga also said his team is considering ways to monitor students’ social media accounts, even though many are cautious of privacy laws. Mental health will be further discussed in a future committee hearing. The post Experts to Texas Senators: Mental Health Key to Stop School Shootings appeared first on Campus Safety Magazine.